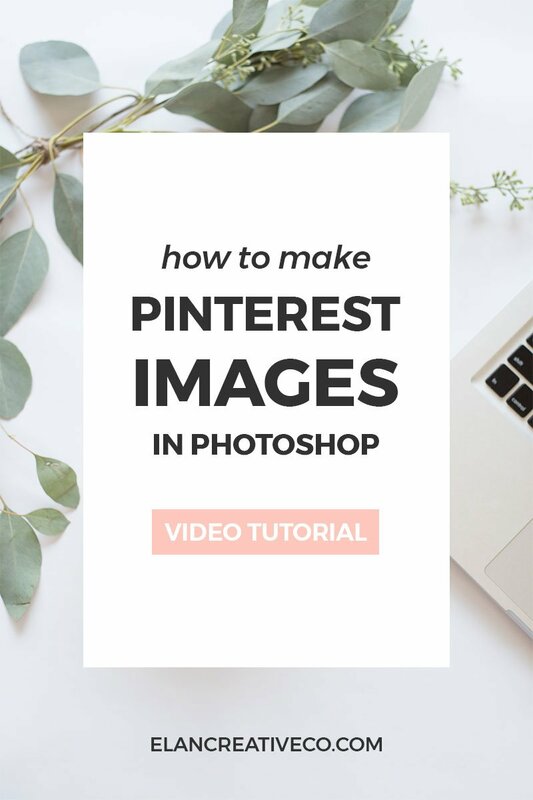 How to make image templates in Photoshop for Pinterest ~ Elan Creative Co.
As a blogger and creative entrepreneur, I often have to create new images for my blog, for product mockups, or for social media sites. 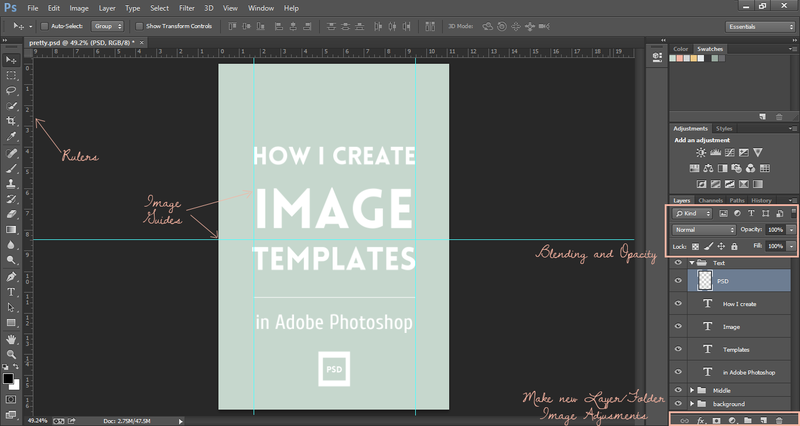 This is why I love making image templates. The advantages are many, and the most important for me is that I save precious time. 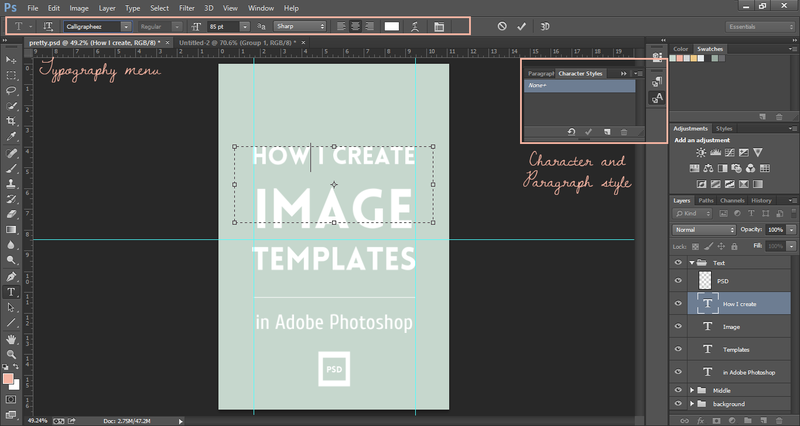 Instead of starting from scratch every time you need an image, you can open your template and add text and maybe a photo. It only takes a few minutes once you have settled on a design. Please subscribe to Elan Creative Co’s channel if you want to see more video tutorials. Watch the video on Youtube. The first thing you have to do is settle on size and layout. 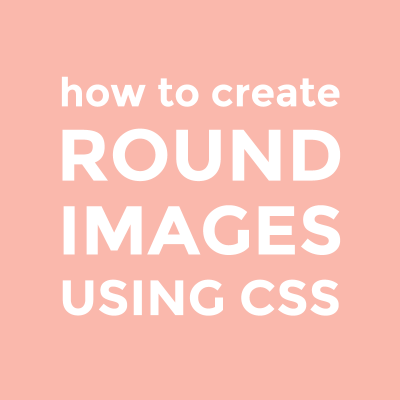 For my blog, I like to use 800 x 1200px images; 800px wide because that is the width of my blog, and vertical images because they are more likely to be pinned. This isn’t the only size I use, I also have templates for my Etsy listings and social media sites. View the Swatches window by going to Windows/Swatches. 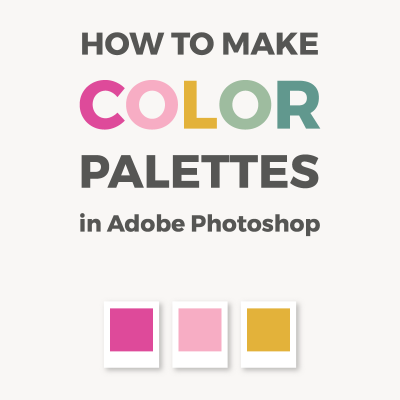 After emptying the standard swatch, you can add the color scheme you’ve chosen for your blog. You can save it from the drop-down menu at the right side of the panel. Besides my blog’s colors, I also save the palettes I use for my clients, my premade themes, and even the items I have in my clip-art shop. It’s a very easy way to keep track of all the colors you use. One of the first things you learn if you take a Photoshop class: you should never work on the original layer. 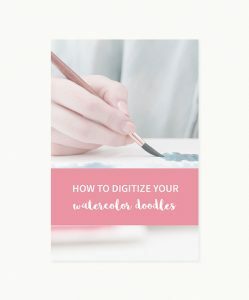 And layers are not only helpful for photo editing, they are also good for creating images for your blog. You can access the Layers panel from Windows/Layers. At the bottom, you can find a small menu that lets you create new layers, folders, and adjust the images. At the top, you have blending modes and opacity. Tip: If your background image is too dark, you can lighten it by decreasing the opacity. I love using rulers and image guides. I like to create guides for the center of the canvas or like in the image above, to help me align the text. You can access the rulers from View/Rulers or by pressing Ctrl+R. To build a guide, you just have to click on the horizontal or vertical ruler and drag it to the position you want. If you have Snap checked (View/Snap), the guide will snap into place when it’s in the middle of your canvas. You can also feel the same thing happening with your text or images. If you love typography as much as I do, you are probably tempted to change fonts every time you make a new image. 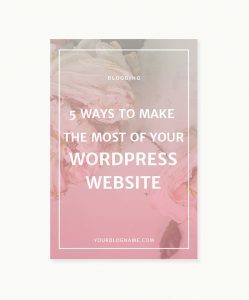 This is not the best idea if you want to create a consistent look for your blog. You can choose one or two fonts and play with size, style, or sharpness. You should save your template as PSD. This way you can edit it as many times as you want. If the images you create are for web use, your should use the ‘Save for web’ option. Once you have your first template ready, it’s very easy to update. You can add text, new backgrounds, and graphic elements, and you can even modify its size from Image/Canvas Size. It will modify the size of your canvas without altering your graphics. As you templates will eventually change, you can save them over the old ones. If you don’t have Photoshop, there many free alternatives out there. 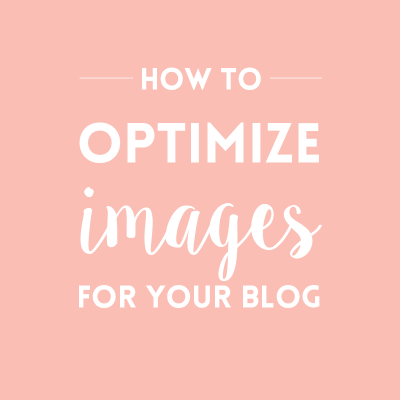 Do you use image templates for your blog or business? 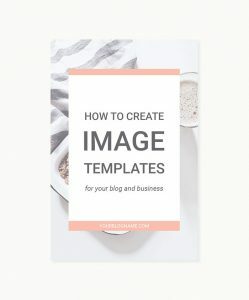 These blog image templates are an easy way to create eye-catching and consistent blog post graphics. You can update them with your own photos and fonts, and even create new styles once you are more familiar with them. The blog post graphics require Adobe Photoshop CS5 or newer and basic Photoshop skills. Sign up for the newsletter and you will receive access to the library. Besides the image templates, you will find blog planners and other printables. Subscribe to the Newsletter to get access to our library. I promise not to spam you, so I will only send the newsletter once or twice a month with insights into the life of a blogger and online business owner, blogging and business tips and news about my business. If you don’t want to receive the newsletter, you can easily unsubscribe. Hey there! I’m Cristina, and I’m a self-taught graphic designer and illustrator. With an everlasting love of all creative endeavors, I found joy in sharing with others what I’ve learned over the years and helping bloggers and entrepreneurs bring their dreams to life through beautiful designs. Subscribe to our mailing list to get the latest posts in your inbox + news and special offers. 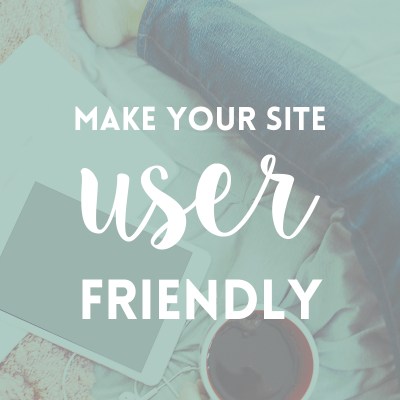 Your site is amazing, Cristina! Thanks for all the great resources! You’re welcome, Jennifer! I’m glad to hear you like it. Your blog is great Cristina! Great work. Thank you so much, Faraz!